Yesterday I was thrilled to find this new book in my campus inbox! Last summer (June 20-22, 2014), King’s College London hosted a conference entitled, “Jesus and Brian: A Conference on the Historical Jesus and His Times.” I remember wanting to attend and being very disappointed that I was not able. (I had already made two trips to the UK that summer and there’s no way my university would have financed a third!) While the conference was taking place, I was able to catch various posts on social media as several of my friends attended and attempted to live tweet the proceedings. 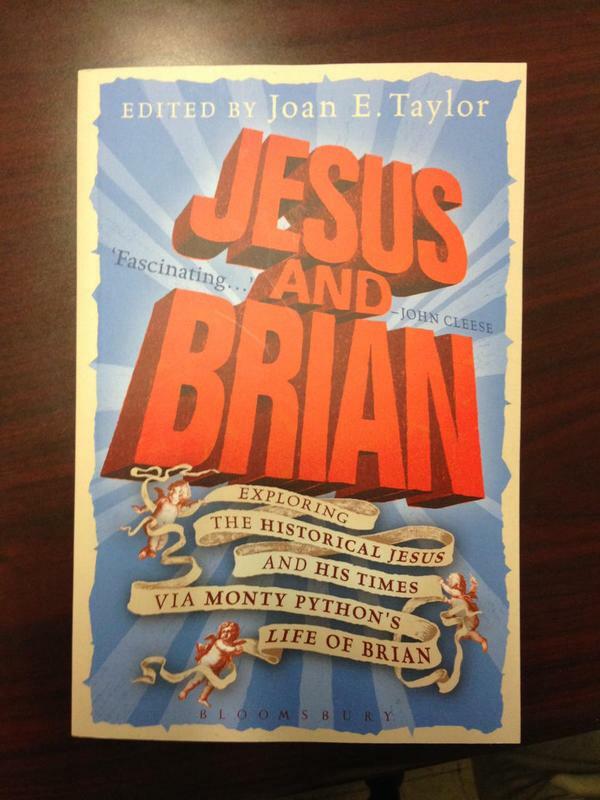 Well now I guess I have the second best thing, a copy of Jesus and Brian : Exploring the Historical Jesus and His Times Via Monty Python’s Life of Brian (London: Bloomsbury/T&T Clark, 2015). The book is scheduled for release on September 10, 2015 and represents the full proceedings of the conference. The contributors to this volume represent some of the very best scholars working in both Jesus research and reception history, and include William Telford, Richard Burridge, David Shepherd, David Tollerton, James Crossley, Philip Davies, Joan Taylor, Guy Stiebel, Helen Bond, George Brooke, Bart Ehrman, Paula Frederiksen, Amy-Jill Levine, Steve Mason, Adele Reinhartz, and Katie Turner. I hope to provide a more substantial review of the book in due course, but for now, I wanted to get it on your radar. You only have two more weeks to wait!